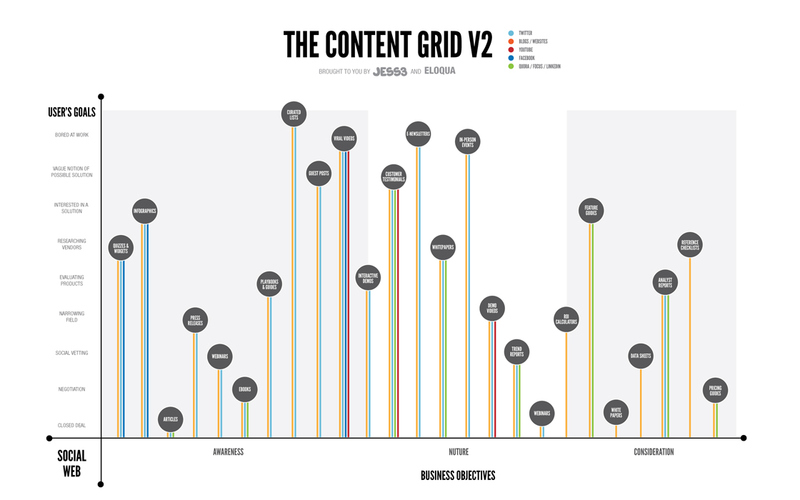 JESS3 partnered with Eloqua one year ago to create the "award-winning":http://www.eloqua.com/news/awards/, "Content Grid":https://jess3.com/content-grid/. 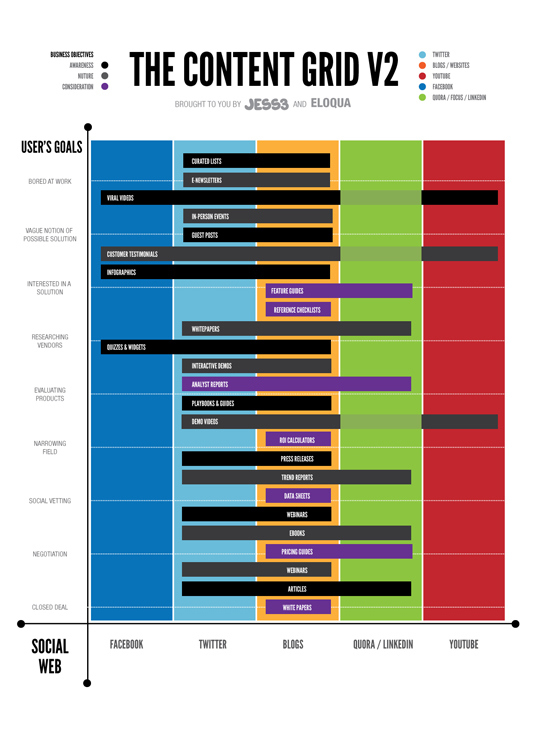 After a big year of "continued":https://jess3.com/the-future-of-revenue/ "collaboration":https://jess3.com/the-blog-tree/ between "JESS3 and Eloqua":https://jess3.com/Eloqua-a-case-for-content/, we decided it was time to update. 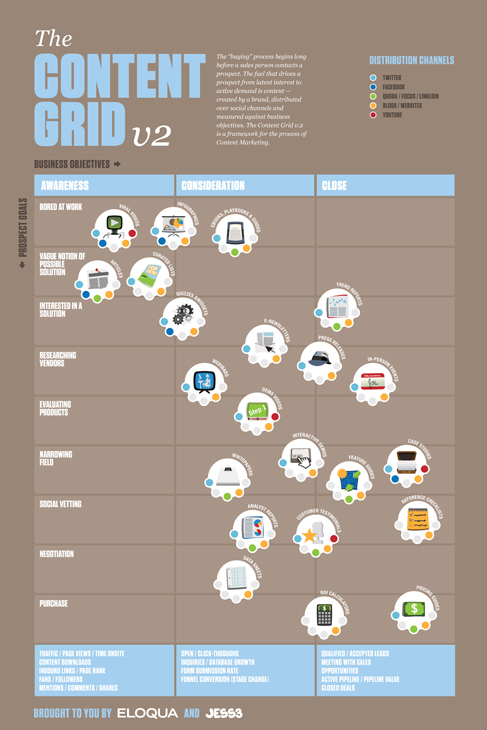 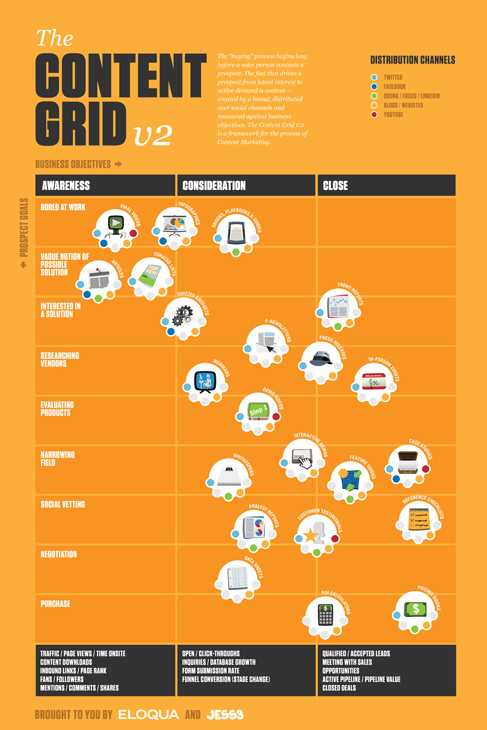 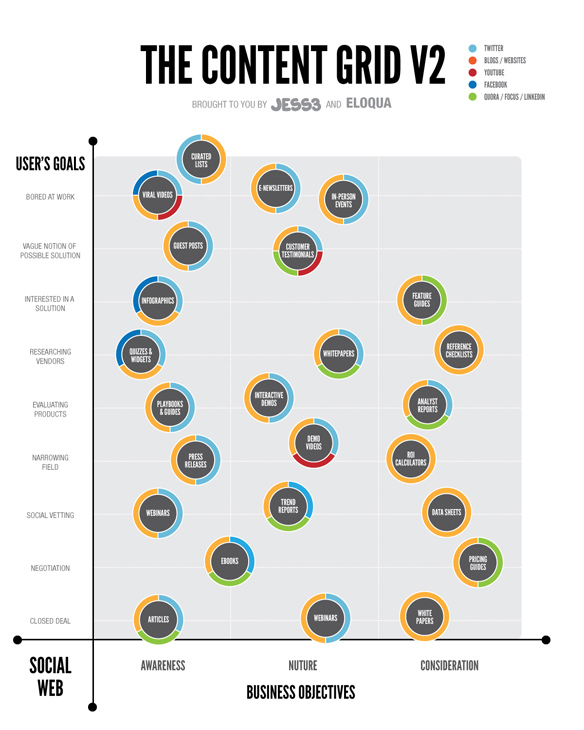 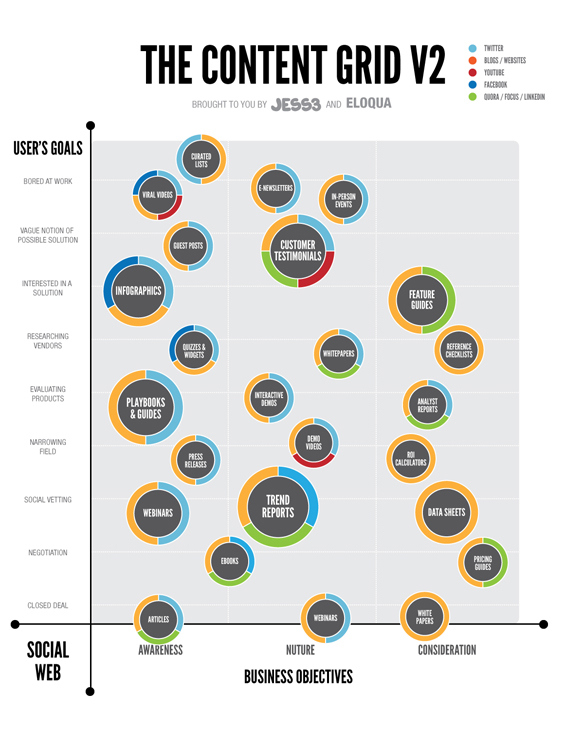 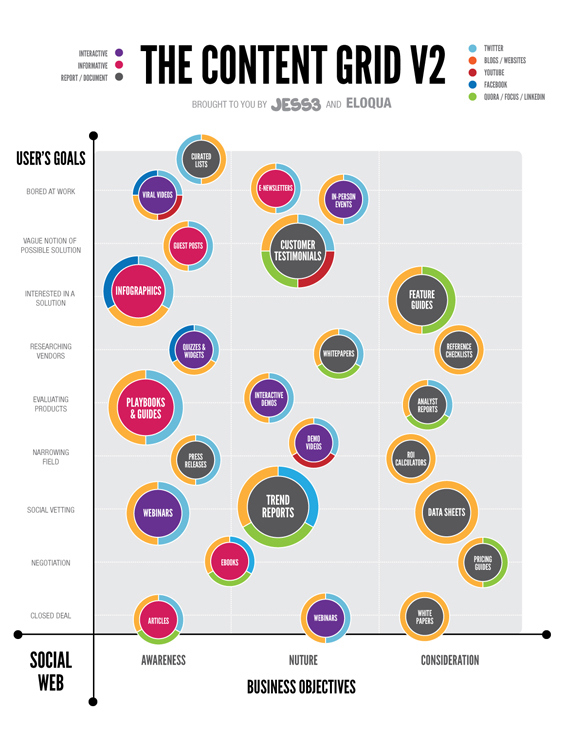 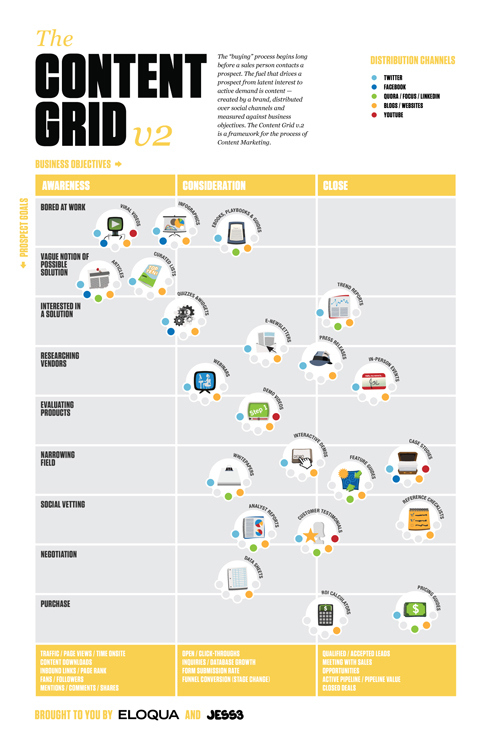 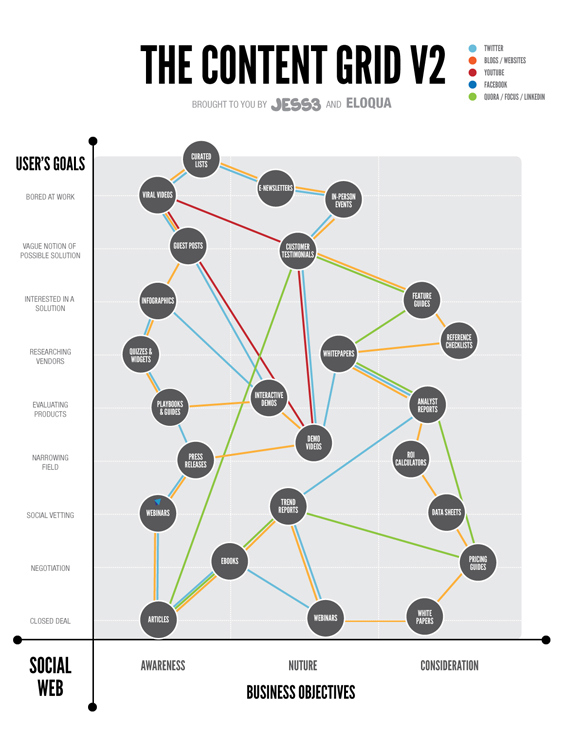 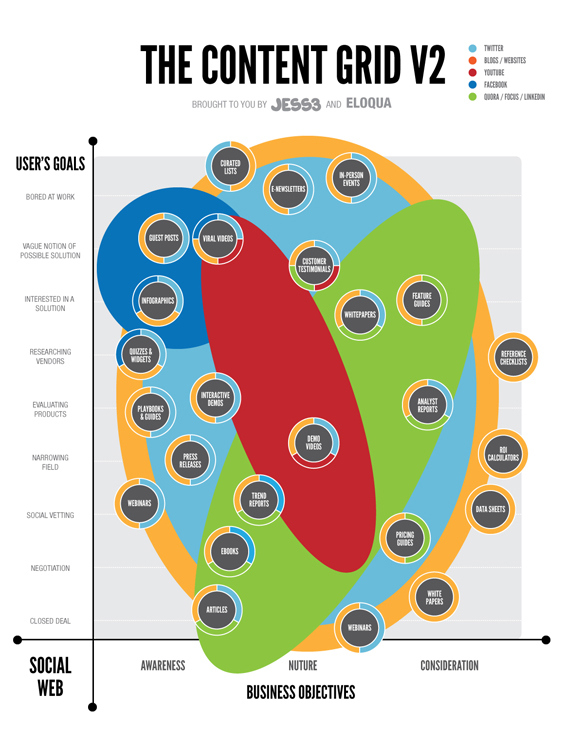 The latest grid illustrates the role content plays in helping brands meet business objectives and buyers reach their individual goals. 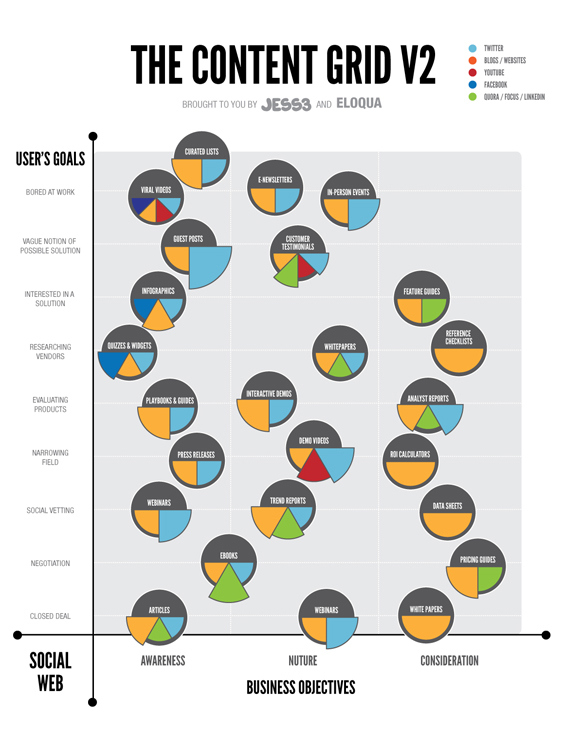 An added value of v2 is its outline for measuring content marketing success.